Customize just about anything in this Custom Vinyl Decal. 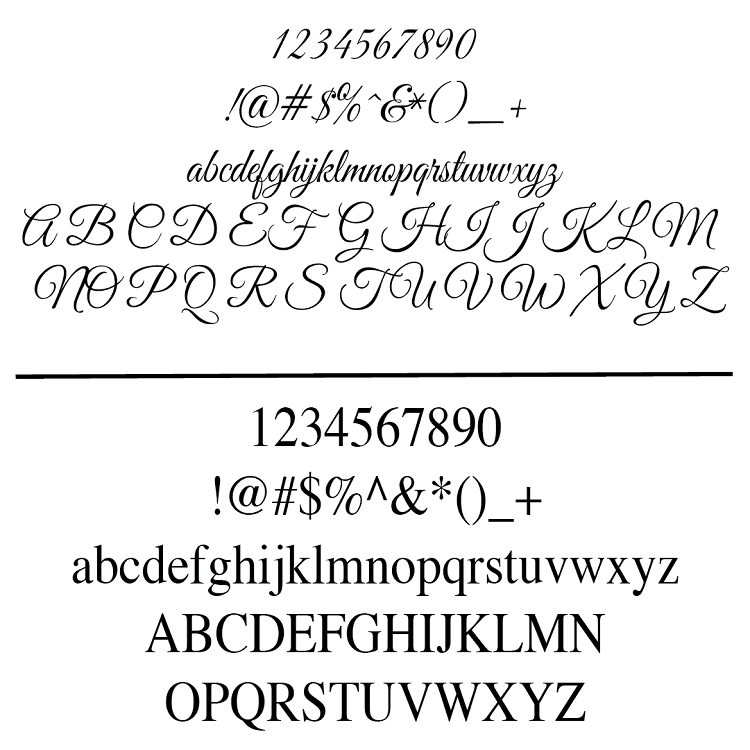 Decals are available in fonts shown. The first line will be in the script font which will be bigger in size than the rest of your text. The remaining three lines will be in a regular text font. All text on the quote will be centered. For example, if you would like to get "Live, Laugh, Love" in the script font please write "Live, Love, Laugh" in line one and your remaining normal text in lines 2-4. 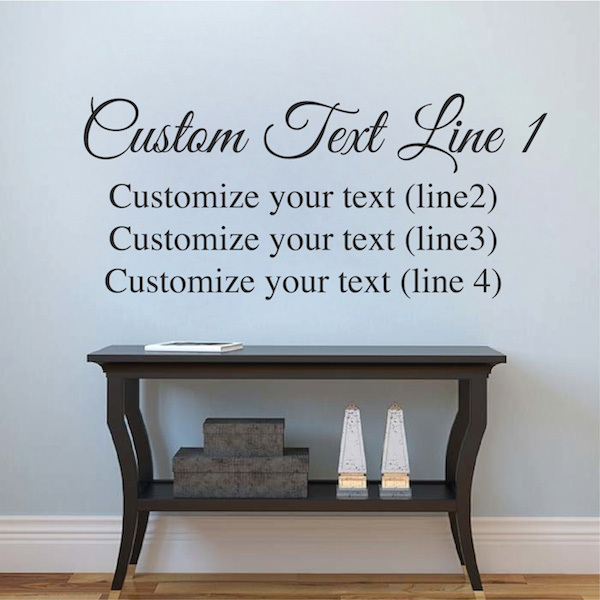 Feel free to leave line 3-4 blank if you do not have anything else to customize. (This would effect the height of your total quote, i.e. a 10"x23" would in that case become 4"x23"). Make sure to capitalize any letters you wish to capitalize. Sizes are measured from the top to bottom and furthest left to furthest right. (tall x wide). Cut between the lines/words and space out each line/word to your liking! My daughter passed away in 2014. 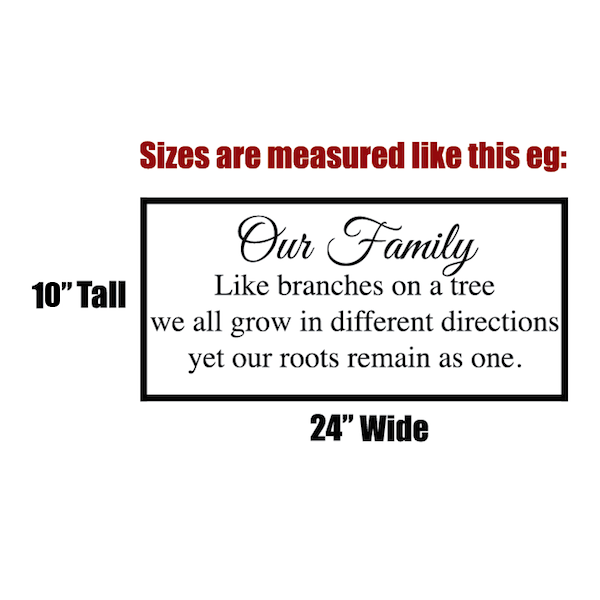 I was doing a memorial wall for her in our home and needed a wall decal to say what I wanted. 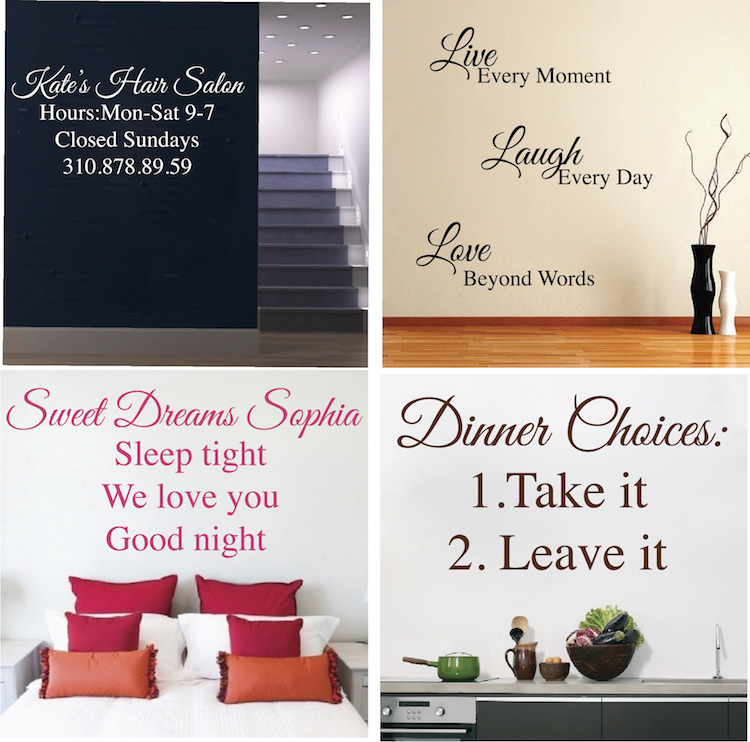 Trendy Wall Designs allowed me to design my quote with her name. It looks beautiful. I will definitely buy from this company again!